The occasion was held at Sunway Pyramid's Orange Concourse last weekend where there were at least 500 fans were awaiting for the appearance of the Hong Kong superstars, Priscilla Wong, Elena Kong and Joyse Tang, during the launch of All Things Girl. 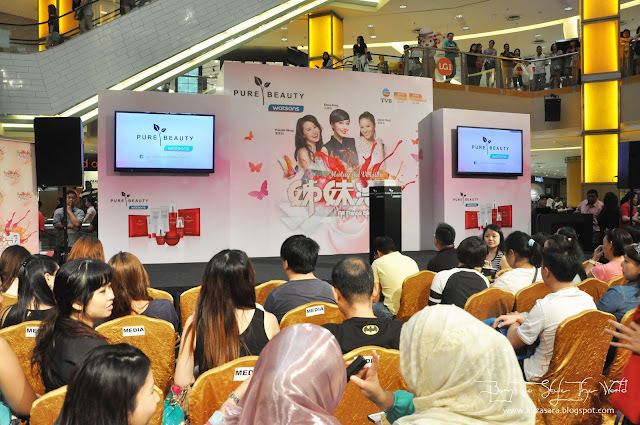 The beauty inspired program series is made possible here in Malaysia by Pure Beauty exclusively at Watsons. An emcee making sure that guest are entertained. With over 500 fans who were patiently waiting, we also had a really entertaining emcee giving away lucky prizes and at the same time entertaining the members of the media and of course, the fans of the Hong Kong superstars. 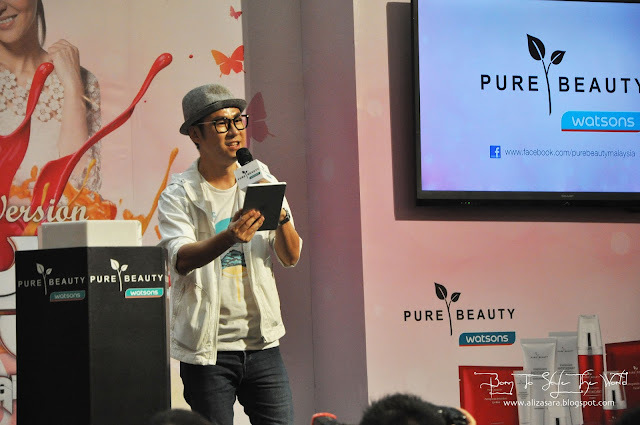 Before the superstars came out from backstage, we had Danny Hoh, Head of Marketing who said "Pure Beauty exclusively at Watsons is proud to bring this infotainment series to Malaysia by adopting the concept aired in Hong Kong, but the content is tailored and suited for the local audience. 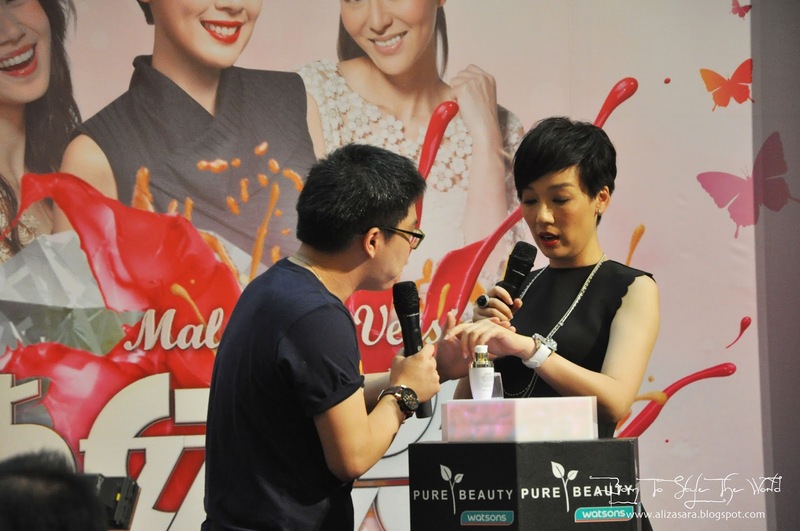 We hope through this program we are able to leverage on this engagement with the audience and especially to our customers with Pure Beauty exclusively at Watsons product". Joyce looking really happy to see her fans from Malaysia. Screaming fans were trilled to see their superstars up close at the event where Priscilla Wong, Elena Kong and Joyse Tang were really glad to be able to see fans from all floors from the concourse, thus each of them had a few words to say to the outstanding crowd. Officially launching the occasion together with Danny Hoh and Caryn Loh. Surprised that balloons were dropping from the ceiling. Can you see the Rebate voucher in the balloon? 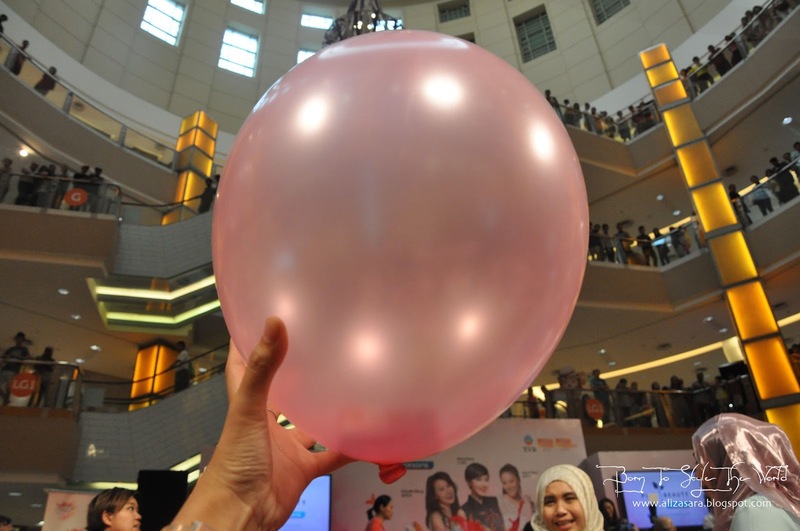 The launch was official, and attendee's had a surprise of having balloons being drop from the ceiling and the crowd went wild, the minute they knew that each balloon contained a special rebate voucher on Pure Beauty. And i guess you can pretty much imagine having so many balloons being popped at the event. It has hectic and fun at the same time. Even i managed to bring 1 voucher back home for myself. Teehee. During the launch, the trios treated the audience with a special hindsight of what is to be expect from the special 6 episode program. Where each of them had a chit chat session leaving the audience some special hindsights and as well as an opportunity to learn about some personal beauty tips. 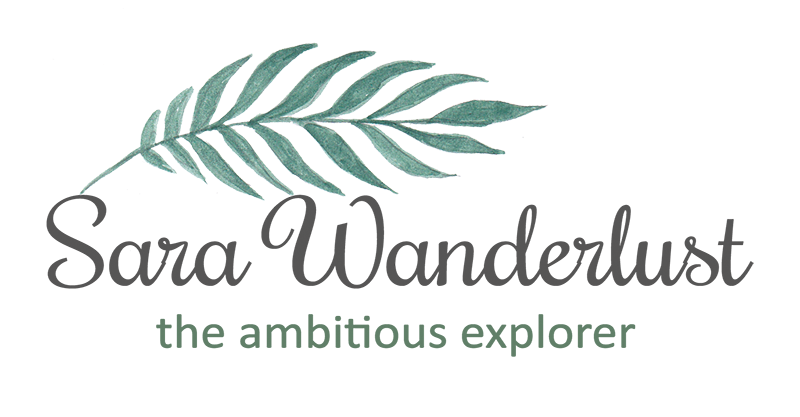 Elana said " Each of use will host each episode and would cover a topic relevant to women today. And there will be special guest invited for every episode to speak on the topic and that every woman can relate to". 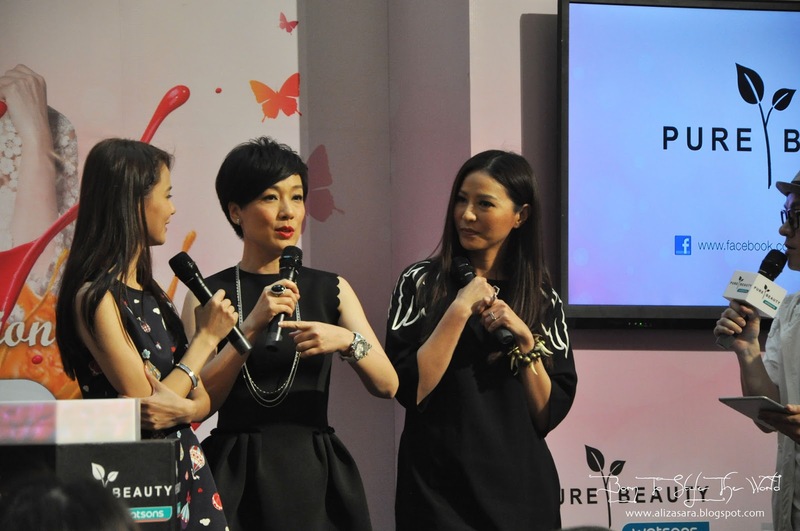 Joyce also left something to say where she said " My beauty tip is simple despite living a hectic schedule. I make sure i have enough rest so my skin can regenerate and i also eat clean and lead a healthy lifestyle. I also ensure the beauty products used are gentle to my skin." Priscilla also added " Its important for us ladies to take control of our body so that we are able to perform despite the busy schedule. The is no beauty to my secret only that i pay attention and take care of my body and physical needs." Lucky fans volunteering to some fun activities on stage. Priscilla enjoying her time with a fan. A fan giving some product trials to Elena. Even Joyce got a hands on product review herself with the help from a fan. Caryn Loh and Danny Hoh presenting flowers to the Hong Kong Superstars. Photo Opportunity to remember the occasion. 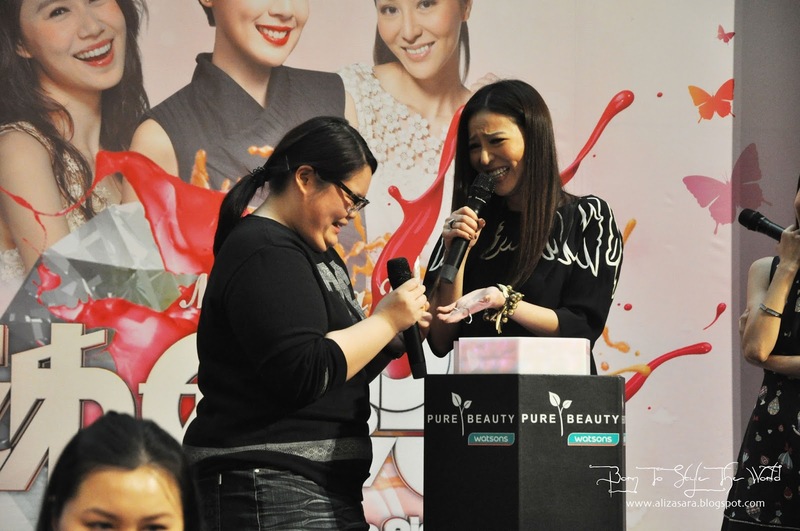 Also present at the launch was Caryn Loh, General Manager of Trading of Watsons Malaysia, who later gave away beautiful bouquets of flowers to the three Hong Kong Superstars. Presenting each bouquet specially handpicked for the celebrities of the day to suit their personalities. The Antioxidant range from Pure Beauty. Pure Beauty, according to your age. Over the past decade, Pure Beauty exclusively at Watsons has embarked on a search for the perfect antioxidant, and along the way discovered many more of natures skincare secrets. 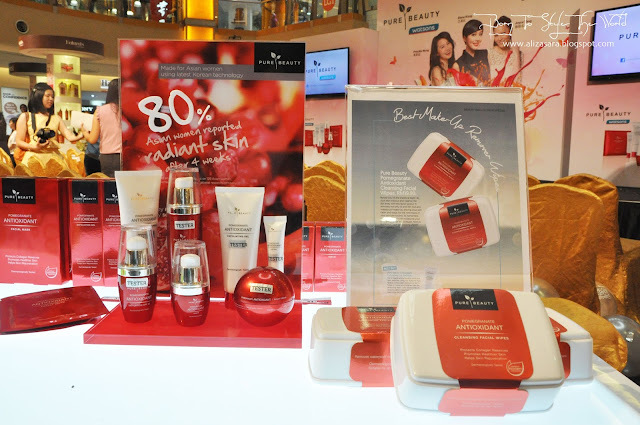 Inspired by Korean skincare innovation, incorporating the finest natural ingredients and made possible by leading edge technology, Pure Beauty exclusively at Watsons have created unique skincare products based on powerful antioxidant blends for visible, long-term results. All products are dematologically tested and proven to be safe and effective solutions leaving the skin looking healthier, softer and younger. 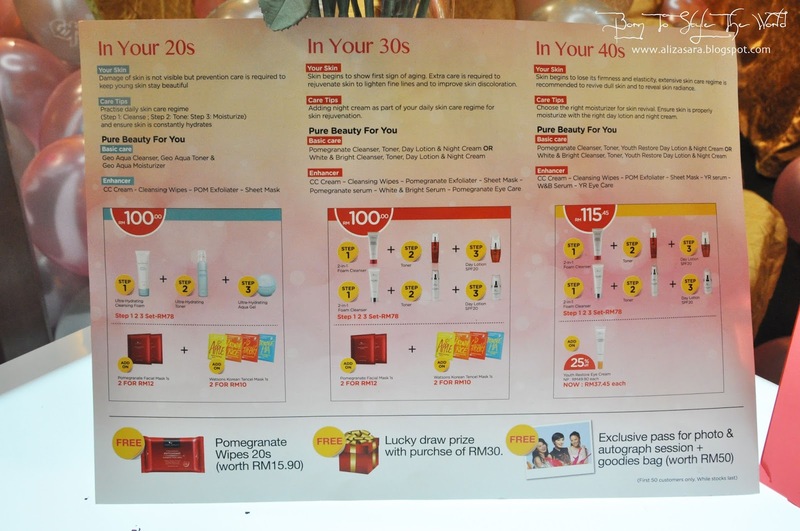 All skincare range for Pure Beauty are available at Watsons stores. All Things Girl is a joint collaboration between Astro and TVB and sponsored by Pure Beauty exclusively at Watsons. The program will start airing on the 6th of September 2015, at 9pm and will be aired on Astro's Wah Lai Toi and Wah Lai Toi HD channels respectively. Be sure to catch All Things Girls on the 6th of September! Hope this has all the information you need, and be sure to leave a comment below to tell me what you think of the entire show! Thanks again!